Polaroid has revealed the latest camera to sit in its instant printing line-up, the Z2300 which produces 2x3 inch prints straight from the camera. The Z2300 instant digital camera features a 10 million pixel sensor, 3 inch LCD display and an integrated printer with ZINK (zero ink) technology. 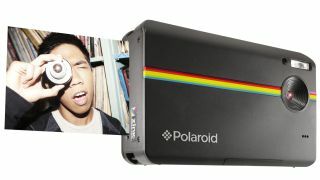 Polaroid claims that the camera can capture, edit and print in less than a minute, producing 2x3 inch prints in under a minute. It is also possible to upload images to any social media platform. ZINK technology works by heating colour crystals in specially designed paper to produce colour prints. In the past year, Polaroid has launched an instant camera in the shape of the classic Polaroid One, an instant printer which can connect to mobile phones and a "smart camera" which is powered by the Android mobile operating system. The Polaroid Z2300 price will be around £129.99 / $159.99 when it hits shops in August.